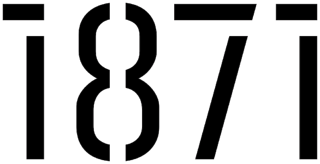 On October 30, 1871 hosted the Tech Jobs Tour, a forum which helps diverse, non-traditional talent find jobs in the technology space. 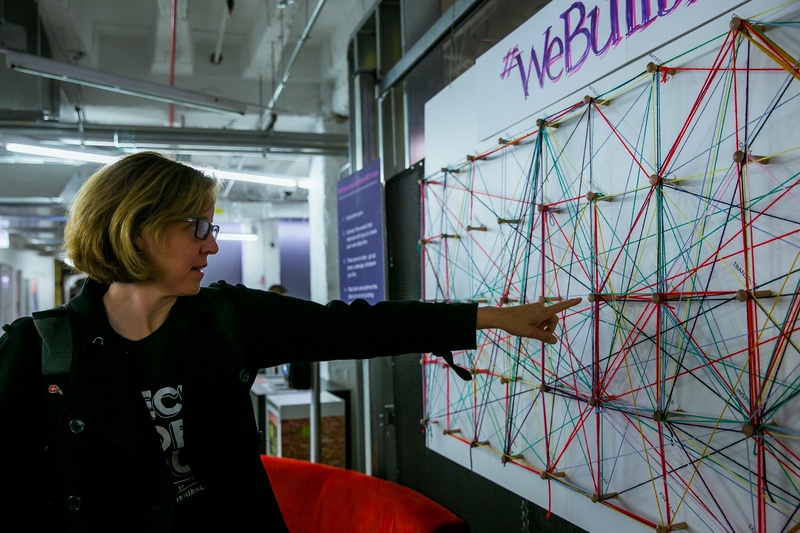 The national tour features top tech experts who are women, people of color, LGBTQ, veterans and people with disabilities. 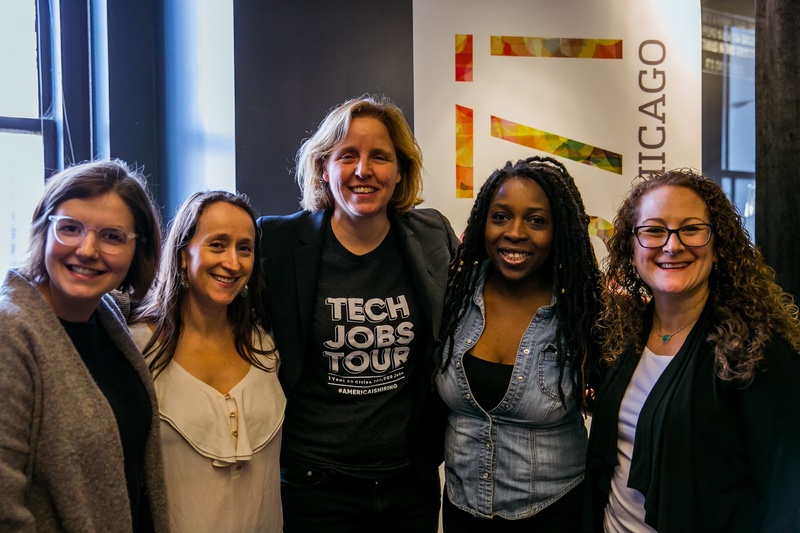 Megan Smith, former CTO of the United States and CEO of shift7, gave the keynote speech and stopped by 1871 earlier in the day to meet with women entrepreneurs in the space. 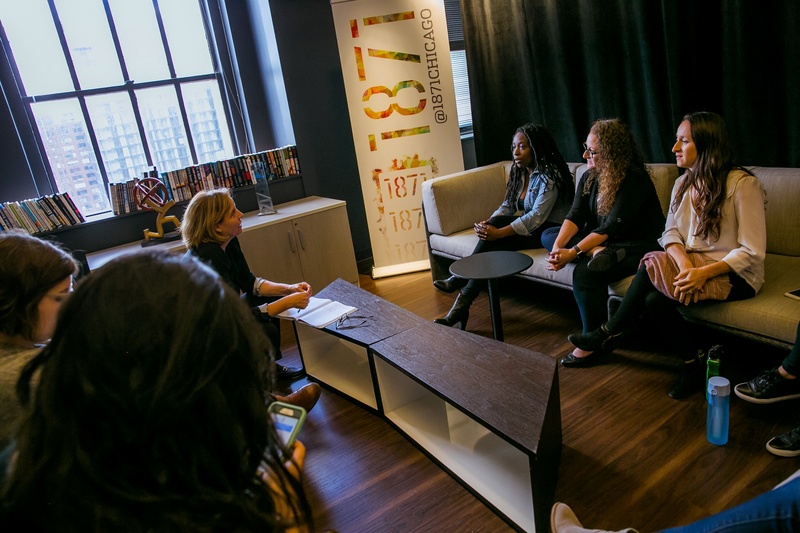 Megan Smith sits down with 1871 member companies to discuss their businesses. The meeting was an intimate sit-down with Smith who talked to each woman individually about their company and goals. She took copious notes and made recommendations for industry connections and market opportunities. The conversation touched a variety of topics including recent news items, policy implications for businesses, challenges for working mothers, attempts to increase representation in technology and business, and even the international space station. The camaraderie in the room was palpable and the energy built as each woman detailed her journey. Rose Afriyie, President and Executive Director of mRelief, whose mission is to restore dignity by transforming access to social services. mRelief’s easy-to-use platform uses web and text messaging for families to find out if they qualify for public benefits. Stella Ashaolu, Founder and CEO of WeSolv, a platform that curates a centralized ecosystem of diverse MBA students and top companies working together to solve real business challenges. Nadya Nguyen, CEO and Co-Founder of Hidrate, a company that promotes healthy habits by creating smart water bottles that track your hydration over time and sync with your phone to remind you to reach your daily intake goals. 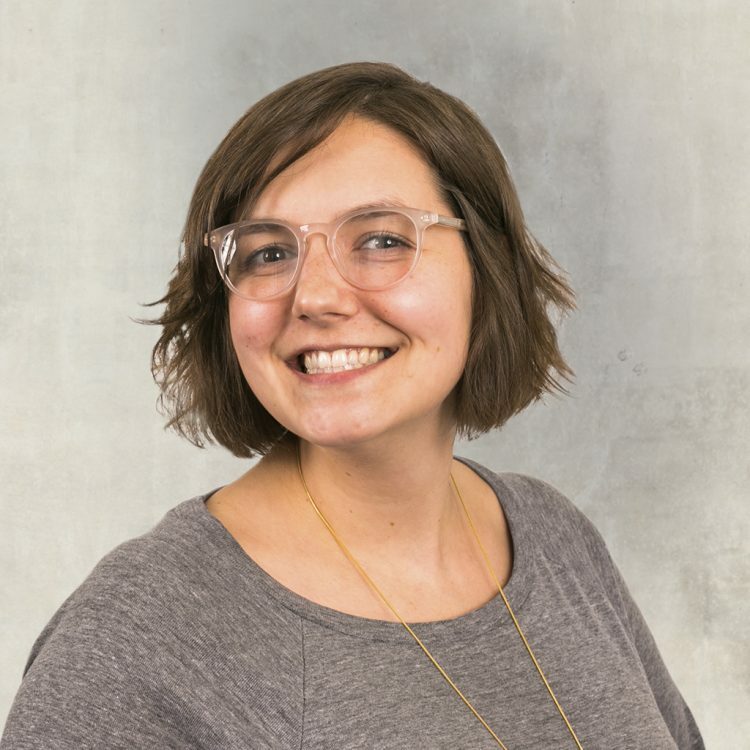 Amy Rosenow, CEO and Co-Founder of Jugl, a platform that makes it easier for working parents to manage household schedules, logistics and information. Leeatt Rothschild, Founder of Packed with Purpose, a corporate gifting company with a social mission. Packed with Purpose showcases goods produced by social enterprises and purpose-driven companies so companies can send a unique gift that reflects the company's commitment to doing good. 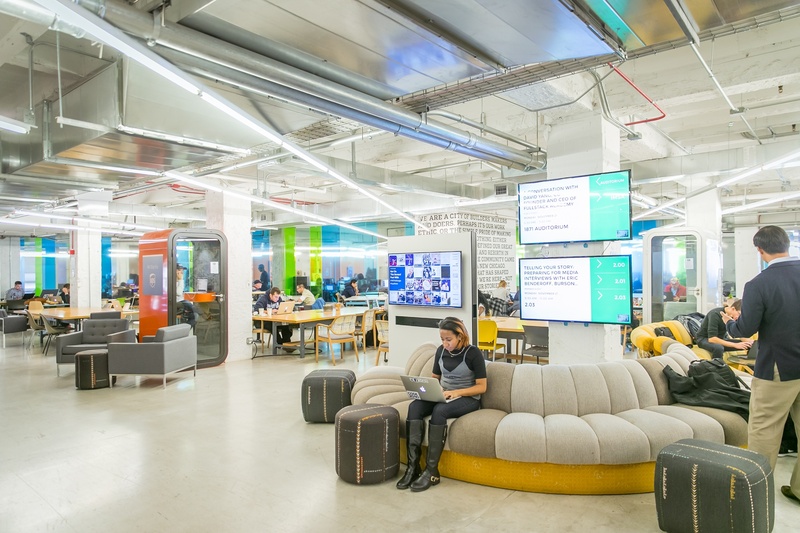 Smith’s time at 1871 is one example of many that demonstrate the kind of invaluable connections, mentoring, and growth that occur when diverse members of our community come together to support one another.